I am amazed by their extensive menu options! There are 36 different flavours of crepes to choose from and I did not expect that crepes can come in so many different flavours. Adding some BBQ sauce to the first crepe I am going to try! 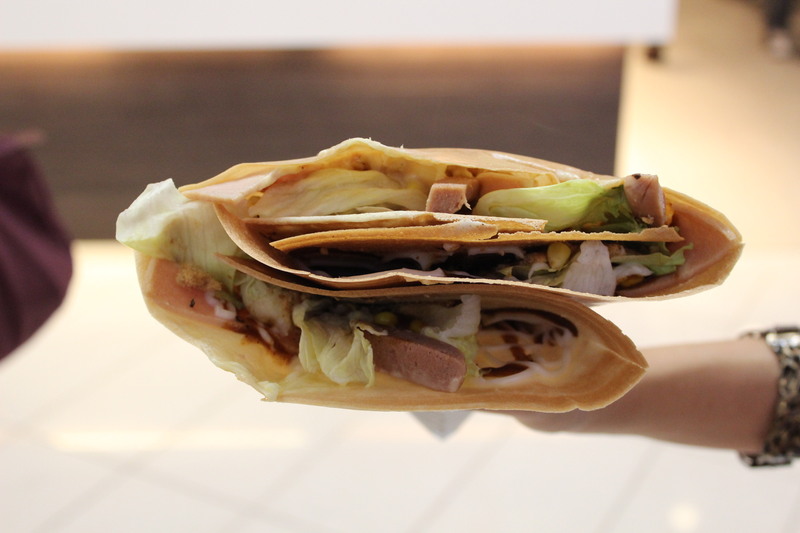 Mix Seafood Crepe- An infusion of crab meat, tuna, kasubushi, sweet corn and lettuce. I thought this combination would taste weird, but surprisingly it was really tasty. The sauces which include mayonnaise, thousand island and BBQ sauce, complemented well with the ingredients that were beautifully wrapped. 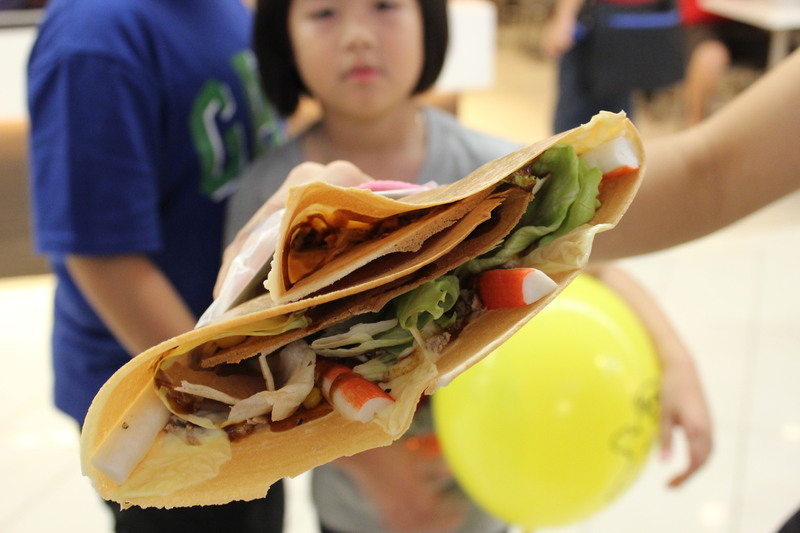 Mix Chicken Crepe- A mix of chicken sausage, slices, floss and vegetables were wrapped to form this huge crepe portion! One word- YUM! Time to try some fruity crepes! 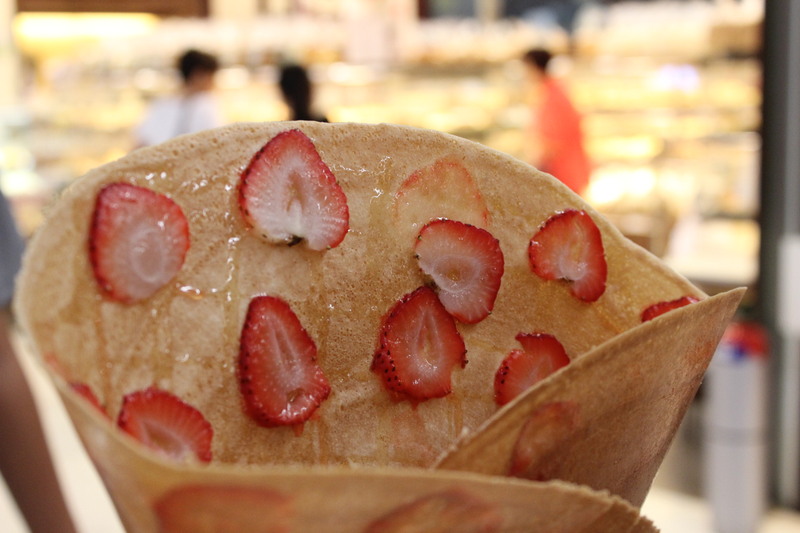 Slices of strawberries were placed on the caramelised honey surface area of the crepe. This is quite refreshing for a change, the strawberries were very fresh and yummy which made for a delightful treat! 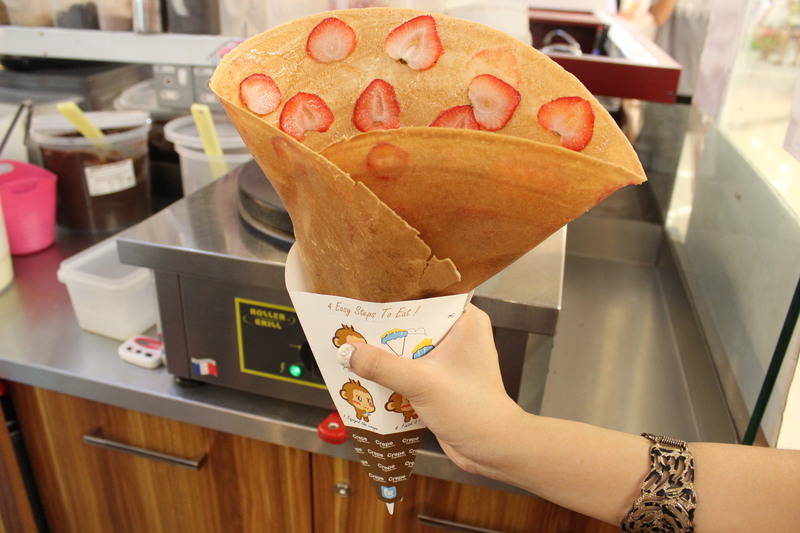 I love how beautiful the strawberries are pasted on the crepe. 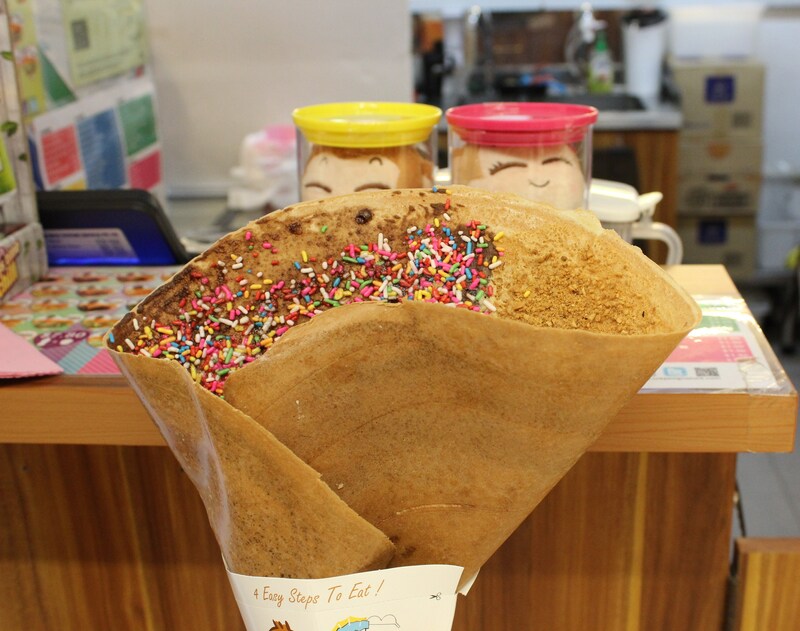 Fancy having some sweet and crunchy crepe? This is definitely for someone with a really sweet tooth. 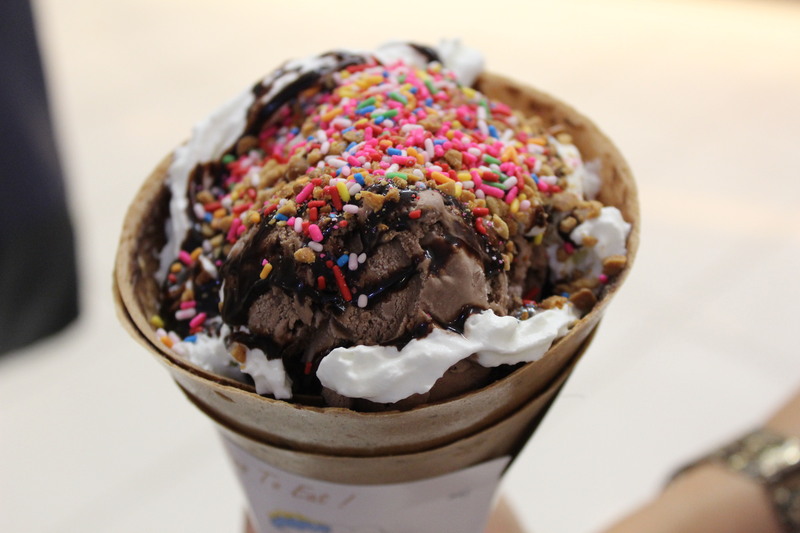 For one side of the crepe, rainbow sprinkles are scattered on the chocolate jam and for the other half, peanuts were used. I love how this crepe turned out to be so crispy as it was lighter without much ingredients being used. For this crepe, it can be stored in the fridge for up to a week but it must be sealed in a tupperware to maintain its crispy texture and yumminess. 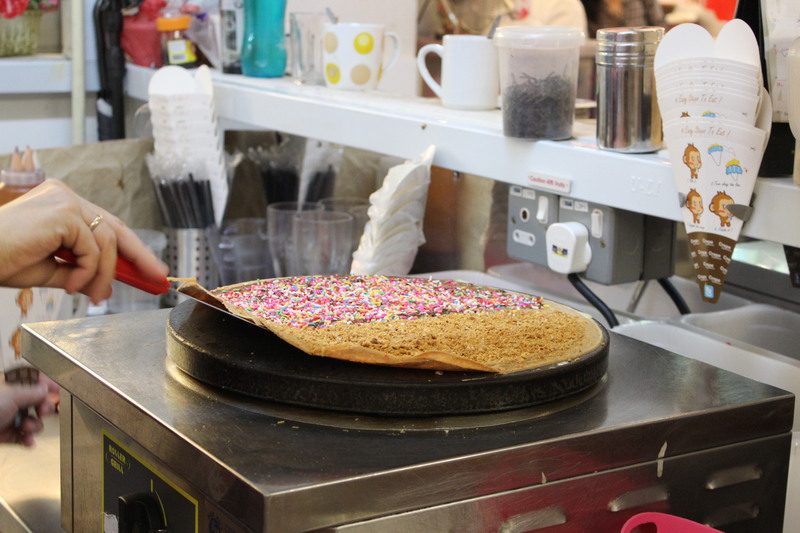 I believe this will be a kid’s favourite, ICE CREAM CREPE! 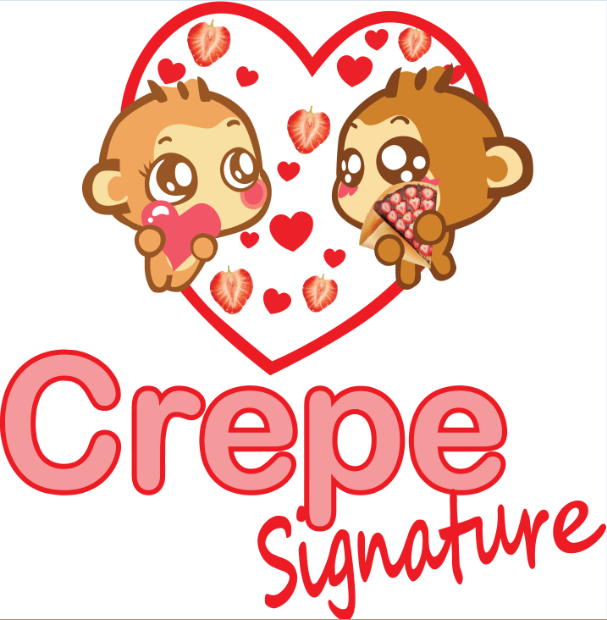 Choose from 3 flavours- chocolate, strawberry and vanilla to go with your crepe. They have value set meals too. 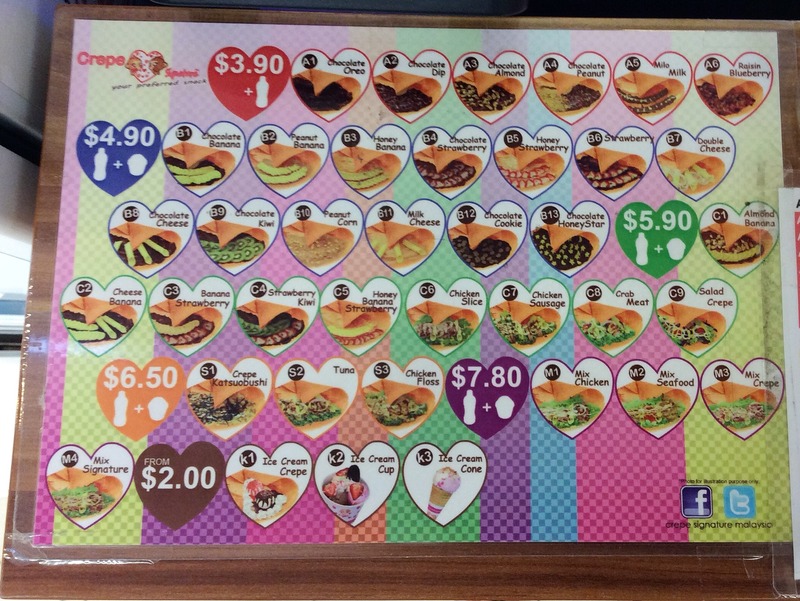 For the first row, you can order a crepe with a drink and for the rest you can add a drink and ice cream. I feel that the prices are pretty affordable! 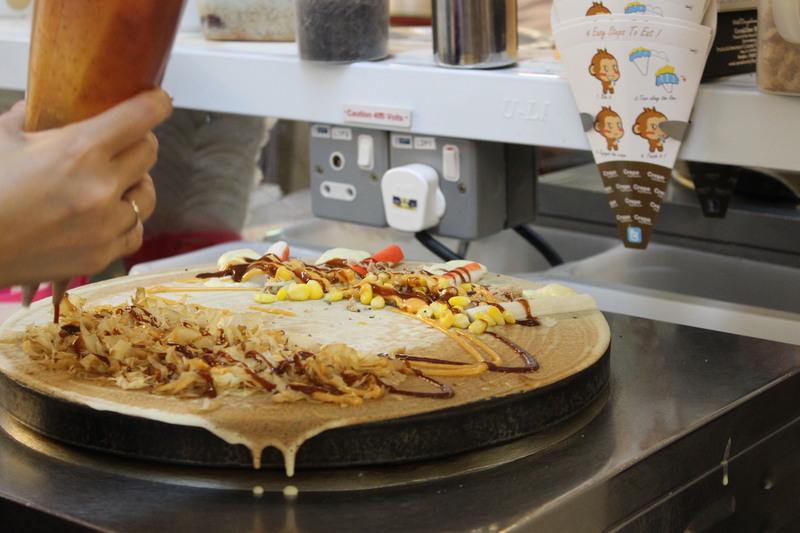 So what kind of crepe do you fancy? Sweet, savoury, fruity or icecream flavours? Come down and try them, I bet there is one for everyone! A big thank you to Jennie who made the crepes and patiently explained more about Crepe Signature to me. 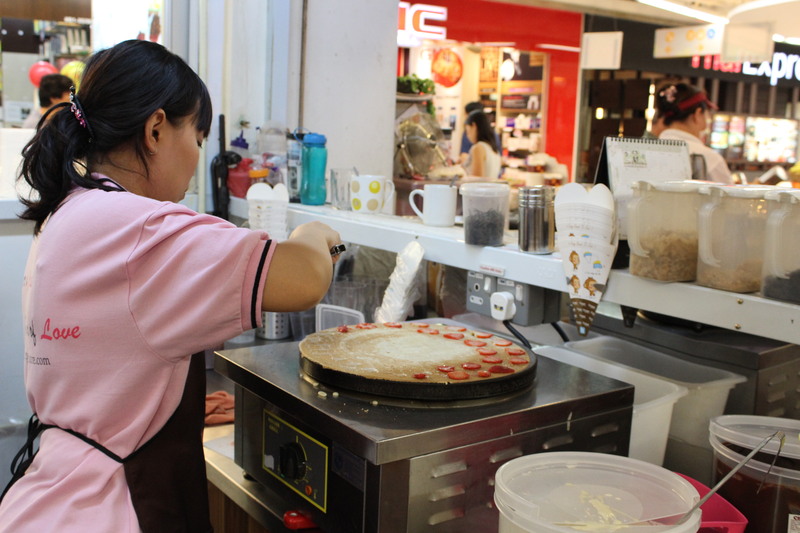 If you aren’t really a person who likes crepes, head down to the Clementi Mall for other food options. The Clementi Mall is well complemented by a wide variety of established restaurants and cafes such as Hong Kong Sheng Kee Dessert, Ichiban Sushi, Seoul Garden Restaurant, ThaiExpress as well as confectioneries/snacks stores such as Baskin Robbins, Crystal Jade My Bread, Four Seasons Durians, Tori-Q and many many more! I was actually planning to spend an hour at the mall but surprisingly stayed for 4 hours shopping and exploring with my family! This mall has so much to offer with many trendy and fashionable choices for me to choose from. With more than 100 restaurants, cafés, fashion, sports and specialty stores, The Clementi Mall is an exciting, fun loving and fashionable shopping destination not just for the family but for the young and trendy. It is the heartland for people residing in the West, a place where shoppers will get a memorable and amazing shopping experience.